Earlier this week I had to go to Preton’s1 city centre where I made two discoveries. 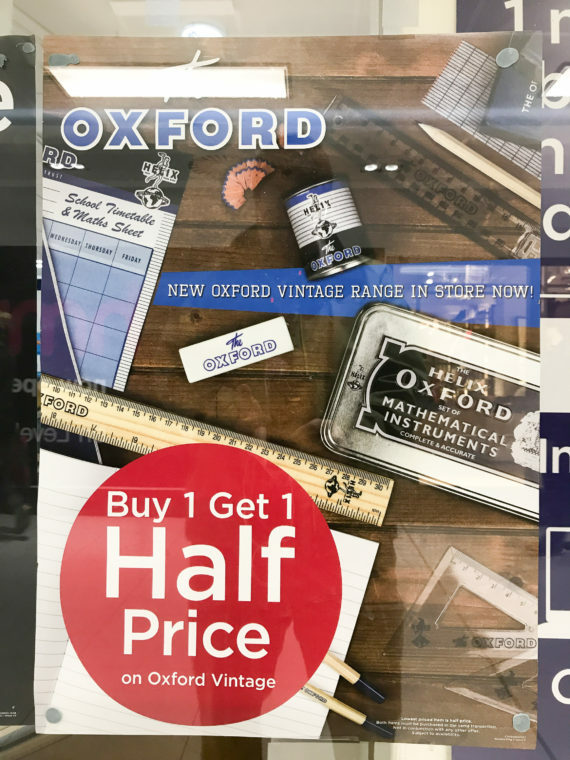 The Oxford series from Helix (which belongs to France’s Maped, with most or all products made in China) seems to have launched a new vintage range which is available in WH Smith stores. 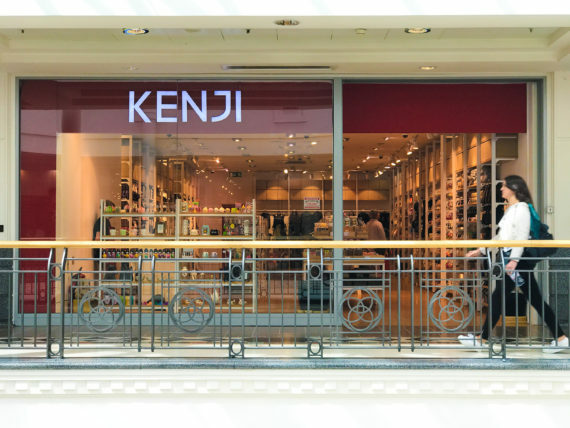 I also discovered what seems to be a local Muji copy: Kenji. 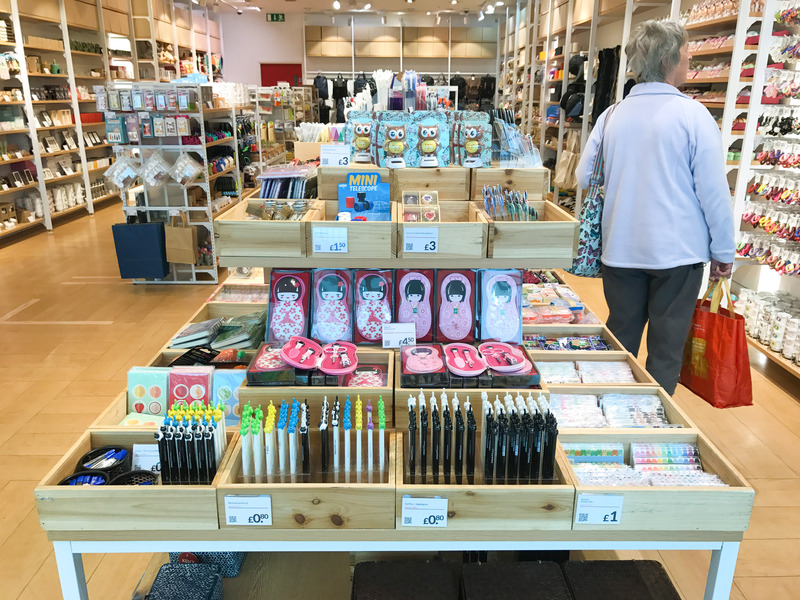 The outside looks like Japan’s Muji, but the goods they sell seem to be at least halfway (if not further) between Muji and Denmark’s Tiger stores. When I asked the employee he said the store opened last October. I assumed this is a bigger chain, but when I visited their web site I was suprised to see that there are only two shops, one in Preston and one in Bury (together Preston and Bury have 200,000 inhabitants). Even more surprising when keeping in mind that despite being small they have a large selection of items, seem to be good value for money, and their web site looks rather good, too. I couldn’t resist and bought a novelty mechanical pencil for £0.80 (~$1; €0.90). It’s the DS-508 from D&S点石. 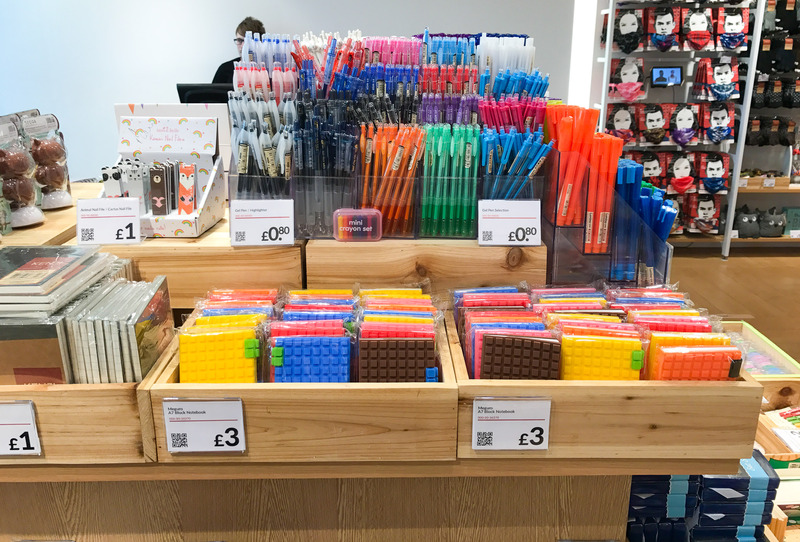 Despite being from a Chinese company the pencil is labelled in Japanese. The push button is the cat’s tail. Like another Chinese mechanical pencil reviewed in the past, the M&G m9, this pencil has a sliding cone. You need about 0.8N for the cone to slide, which means that the sliding mechanism won’t work for most users – unless you hold the pencil nearly vertically. To refill leads you remove the tail of the cat. There is no eraser. The jaws of the ratchet mechanism that holds the lead are even metal, so this pencil should last a while before breaking down. 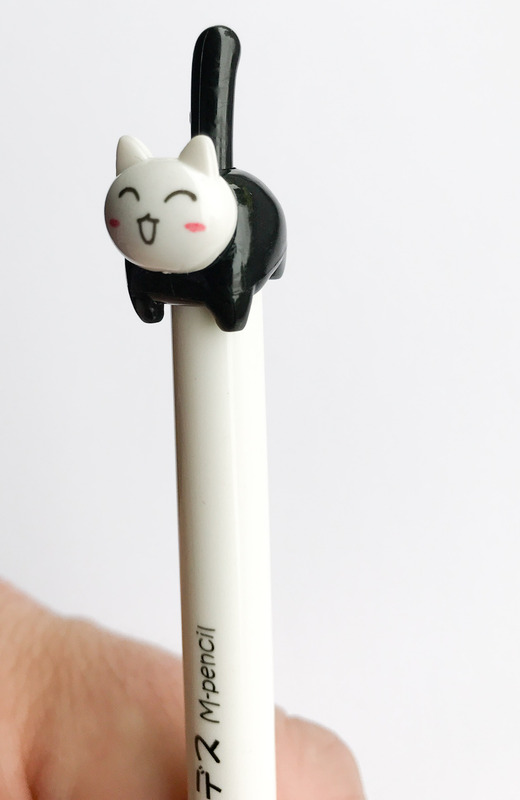 For a novelty mechanical pencil, and especially when keeping the price in mind this pencil is surprisingly good. Please excuse the poor quality of the photos, this blog post only contains mobile phone photos. I have added the DS-508 to my sliding sleeve table. 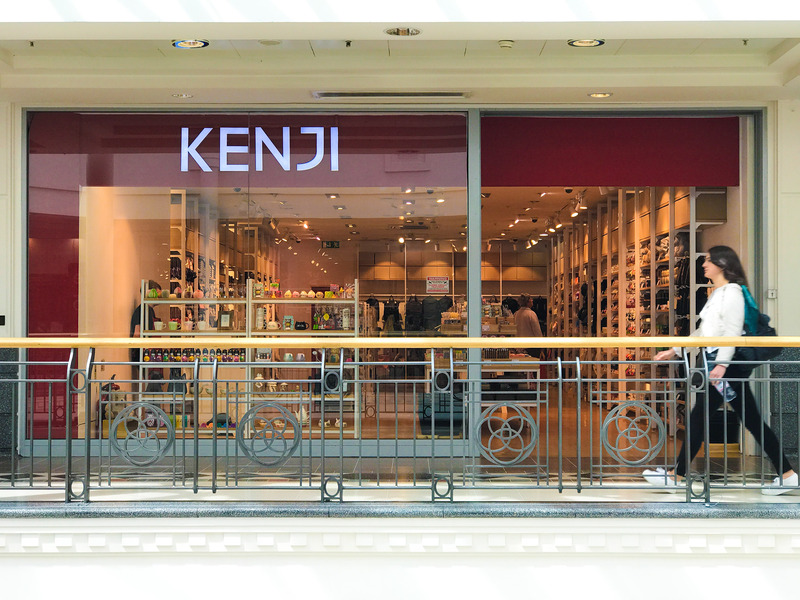 Wow, looks like that it’s filled with lovely goods and good-looking items at Kenji! Anyway, thanks for the amazing post! Thank you for your comment. I am happy you liked it. I guess Kawaii must be one of the Japanese words most known by foreigners (maybe after words like Nippon, Konnichiwa, Otaku and food related words). I don’t understand why desu has been written in Katakana here, can you explain this to me? The shop is great, especially the choice, considering that they are not a big chain.